Selecting a present for any occasion or celebration is challenging enough for a lot of people. 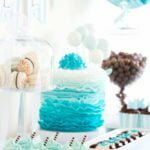 Baby shower gift ideas can be extra tricky because you are essentially thinking of a present for two people, and want your present to be useful and memorable at the same time. There’s also the awkwardness of giving a gift that five other guests decide to give as well (baby showers usually end with the opening of gifts). As much as possible, you would want a unique present that the mother would really have use for. Many expectant mothers register at local stores before their baby shower. This helps guests in selecting which presents to give; this also minimizes multiple gifts of the same things, as guests can see which presents have been selected and which ones are still available. A baby shower registry is a tasteful way for the expectant mother to convey to family and friends what she would really need at the moment. 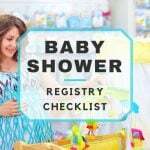 If the baby shower you are attending has this registry, consult it as you shop. Any mother knows the essentials for the first few months after giving birth: diapers, diaper wipes, bedding, baby wash and shampoo, bottles, bottle cleaners, and clothes. The mother would probably not mind receiving a lot of disposable diapers and wipes as this would really help with the expenses. If you can’t seem to find another present to give during the shower, a sizeable gift basket of baby essentials would be much appreciated. Some people find gift cards and certificates a bit tacky, but for expectant mothers, this would be great baby shower gifts. You’re giving the mother-to-be the freedom to choose which supplies she still needs for the baby; in fact, if you give a gift card for a baby store or other retailer, she can open all the gifts after the baby shower, figure out what else she needs, and use the gift certificate or store card you gave. Everybody wins. A library of children’s books, or a collection of well-loved children’s movies and television shows, would be great baby shower gifts as well. Mothers would especially love the bonding times they would have with their baby while reading together or watching animated or live action films. The great thing about a library or DVD collection is they are also quite durable and can be handed down to other children in the family later on. The mother-to-be will require some much-needed time off a few months after giving birth. How about giving her some gift certificates or gift cards for a spa treatment, or an overnight stay at a local hotel or resort? This would give her time to take a break from her motherly duties without being gone too long or being too far from the baby. If this sounds like a baby shower gift you would want to give, make sure the expiration date is at least a year from now. For showers without a baby registry at a local store, you can also consider including a gift receipt with your present. This way, the mother can exchange your gift for something more useful if it turns out that what you gave has already been given by someone else (or she just prefers something different).